I’ve never had the opportunity to work at a museum or as a historic interpreter, but I imagine that the job training is anything but ordinary. Digging deep into history and knowing your facts like the back of your hand is a no brainer, but what other skills are learned in order to become a good resource to visitors? 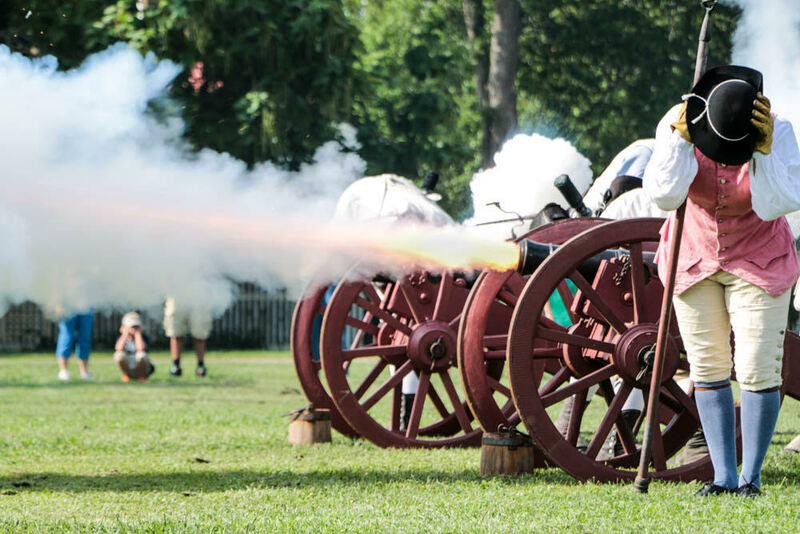 How does Colonial Williamsburg’s living history interpretation make your visit special? Entrance to the grounds of Colonial Williamsburg is free, but if you want to see most of the building interiors you must pay admission. Flags like this designate what’s only available to ticket holders. Colonial Williamsburg has an extensive employment listing that’s typical of historic destinations of this magnitude. Some of the things you may be doing are VERY specialized though, and becoming an expert in say, 18th century farming techniques, is what contributes towards making CW so good at presenting Colonial life. Details matter, and the historic trades become a carefully practiced craft. Assorted buildings border the Duke of Gloucester street (“The most historic avenue in all America.”, according to F.D. Roosevelt) and contain living history recreations of Colonial life. You’re invited to explore the places that were essential to a community and what they had to offer the residents of their town (not too different from today), but also see stuff that isn’t too widespread anymore. A costumed docent washes cow and horse hair for wig making. The sun was harsh and these hats were tempting. Souvenirs, anyone? See that front rail? It’s where the term “passing the bar” came from, as only those that were officers of the law were allowed to walk beyond it. Also kept out the excited crowds. Context is so important to physical history if you want to experience the full story, and CW’s historic structures and their recreation of 18th century life create a rich fantasy. There really is no better way to fully understand this period in time. At the Miliner’s, you can see historic trade workers sewing the very outfits being worn by the costumed interpreters that are everywhere. If you’re not into sewing, seeing multiple seamstresses hand stitching together a garment will give you a new appreciation in what work goes into making your clothing. A visit to R. Charlton’s Coffeehouse would have been very fashionable in those days, and it’s where colonists could have discussions, catch up on news, or hear lectures. 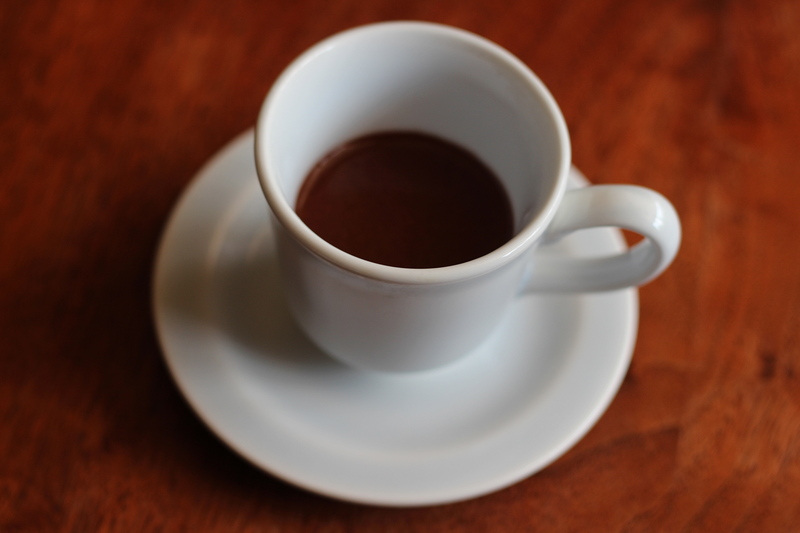 At the end of that tour you get to taste test some tea, coffee, or hot chocolate made the good ol’ 18th century way. You might even be joined by the editor of the newspaper and catch up on some local updates. Pop into the wig shop and a wig maker will explain who wore which wigs and why. A few doors down a silversmith will melt his metals down to create assorted jewelry. If you’re lucky, you’ll be serenaded by a dreamy musician with hearty tavern song as you sit down to eat a colonial-inspired meal. The things to see are endless and are not at all a snore. It’s a history fan’s Disneyland. The day was packed and by the end I was very tired, but I’m glad that a costumed interpreter stopped my weary and sun burned self as I was making my way out of the Revolutionary City to head out. General George Washington was about to inspect the troops by the courthouse, and I was about to miss the most iconic symbol of the Revolution! It’s a real fitting way to end your visit to CW, so muster up the energy and join right in. Guests are invited to march along in their own “troop” as a military band plays stirring music to rile up the infantry. The crowds are addressed by a member of Washington’s party (don’t remember who) before the man himself comes galloping in on his steed. Canons are set off and you can’t help but feel that you’re going to give up drinking tea and do your part in the war effort as a patriotic Yankee. If you’re interested in learning more about 18th century life, CW’s Historic Trades Internships looks like A LOT of fun. You’ll not only be working at CQ, but you’ll also be interpreting a specific area to visitors, learning on the job, and living the part. If that isn’t your thing, there are plenty of ways to get your history fix at CW…even as a casual volunteer. Not a terrible place to spend your time! calendar before you plan your visit. Ticket info here. You can also buy bundled packages to other sites.